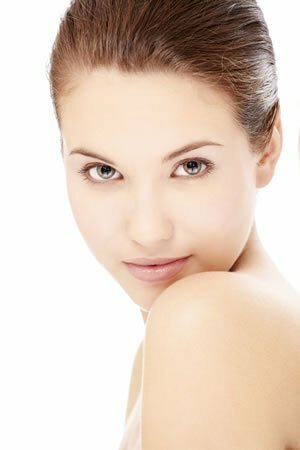 What Facial Firming Force Treatment is available? Nanome Q10 is a nanoparticle that encapsulates a Q10 molecule, greatly improving absorption and delivery to the deeper layers of the skin. Q10 is a fat soluble nutrient present in all human cells, responsible for cell production. It reduces UV damage, stimulates healthy collagen production to improve the appearance of wrinkles and skin aging. Soybeans contain phytoestrogens, which are a plant derived compound with estrogenic activity. This results in a brighter complexion with improved moisture, while encouraging healthy collagen production. After cleansing and balancing the skin with a toning lotion for your skin type, apply Exel Facial Firming Force Concentrate to the face and neck with circular motions until completely absorbed. This serum is best used every night for powerful skin tightening results. Follow with application of Exel Facial Firming Force Cream, by pressing into the face and neck. Q10 is a fat soluble nutrient present in all human cells, responsible for cell production. It reduces UV damage, stimulates healthy collagen production to improve the appearance of wrinkles and skin aging. After cleansing and balancing the skin with a toning lotion for your skin type, apply Exel Facial Firming Force Monodose to the face and neck and gently massage with circular motions until completely absorbed, focusing on areas of concern to improve lines, wrinkles and loss of firmness. Complete the treatment by pressing Facial Firming Force Cream over the face and neck. Deeply moisturises the skin to smooth and soften. Has anti-inflammatory properties which sooth the skin and prevents aging. Day Time: After cleansing and balancing the skin with a toning lotion for your skin type, apply Exel Facial Firming Force Cream to the face and neck with a gentle pressing motion until completely absorbed. Night time: After cleansing and balancing the skin with a toning lotion for your skin type, apply Exel Facial Firming Force Concentrate to the face and neck with circular motions until completely absorbed. Follow with application of Exel Facial Firming Force Cream, by pressing into the face and neck. For a Professional Skincare Line with powerful skin firming, Exel Facial Firming Force delivers visible anti-aging results.